My first week on the space station is already over. Our launch was great. It might have been even better for the spectators than it was for us, as we did not see anything until we were about eighty kilometres above the Earth. 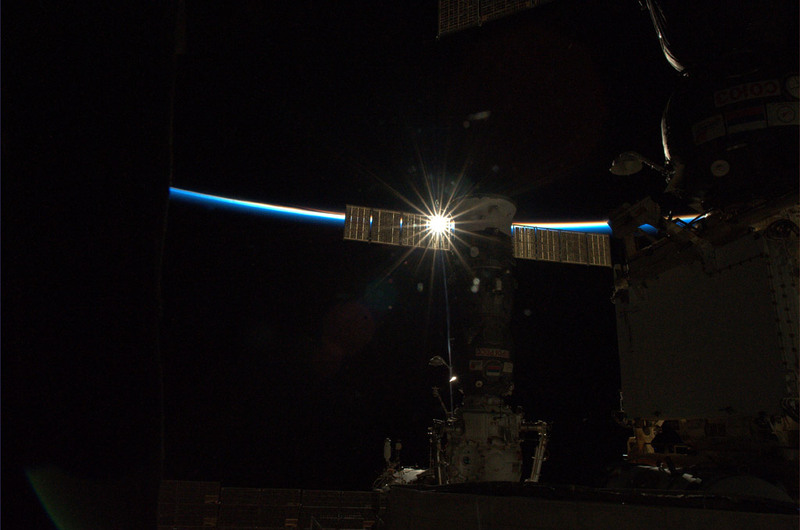 When the protective cover finally did lift from the spaceship… what a magnificent view! I realised then that I had been training for over four years for this moment. I am back in space, and this time I do not have to return to Earth after just a week. The first week does take getting used to. First in the Sojuz, a small spaceship where the three of us had to stay for two days and then the International Space Station which has doubled in size since my last flight. I recognised the Russian part of course, the dining tables and packed modules and also the American laboratory Destiny. But many complete modules I had seen only as mock-ups, such as the European laboratory Columbus and the Japanese Kibo. Our ‘house’ has grown and I am looking forward to living here for a longer period than last time I was here. We had some time to look around and explore the ‘neighbourhood’ and most importantly for our bodies to get used to the weightlessness and disorienting lack of spatial clues. Up and down do not exist in space. When you enter a module it might not be in the same way as you did last time. As a result you do not recognize the module immediately. We gradually got into our routine and I promptly started work on the ESA experiments and equipment. 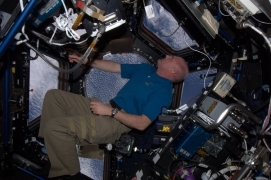 I have already worked with the Dutch-built Microgravity Science Glovebox, a box that allows you to conduct experiments in a controlled atmosphere. 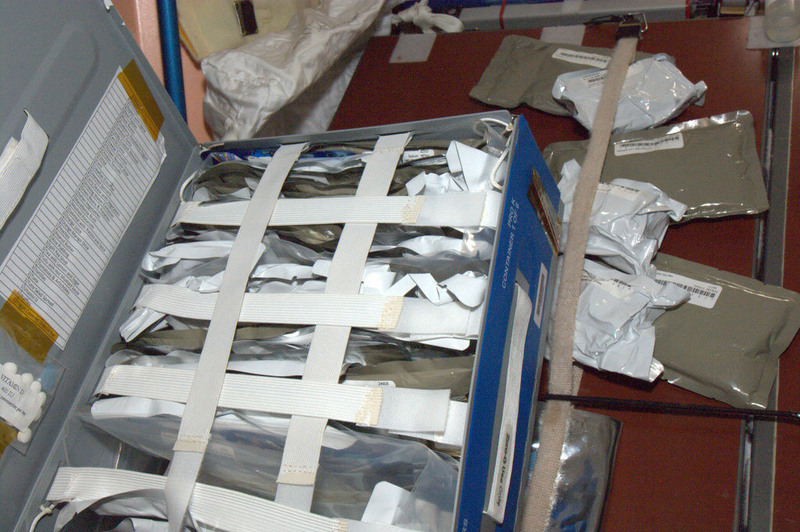 I took samples from the ROALD-2 experiment and put them in the ISS freezer that runs at -80 degrees (MELFI). The experiment investigates the role of gravity in certain proteins that are important for our immune system. One module is fantastic: the European window Cupola. 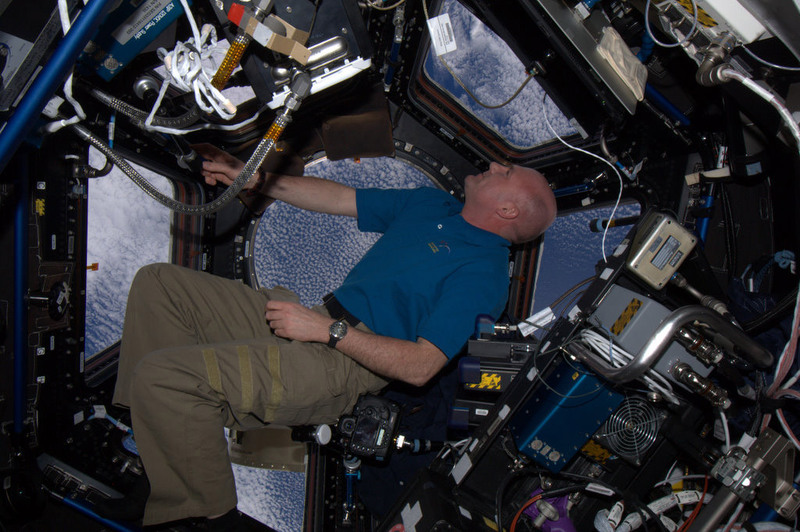 This observation post offers a 360 degree view of the ISS to any astronaut. When I am there I can see the earth in its full glory pass below me, or above me, or next to me… it all depends on the angle with which I float into the Cupola. A beautiful view can be seen during the day cycle as well as at night when the large cities show up as a glow of lights. During the night you can see fire, stars, sometimes a meteorite and the aurora. The aurora is still weak, but I hope it will get stronger during my stay. We were even welcomed by the unexpected trail of the comet Lovejoy that our commander Dan Burbank observed on the day of our launch. A beautiful sight to behold just before the sunrise over Australia. such as photos of my family and other personal things. Amongst other things I have contact lens solution, wet wipes (the same as the ones used for babies), radiation sensors and a Christmas stocking filled with chocolate. I am not allowed to eat the chocolate just yet because of another experiment , which means that I am only allowed specific food for four days and have to fill in a questionnaire. 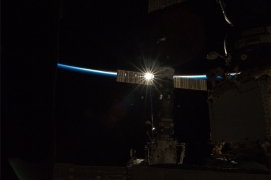 This entry was posted in logboek and tagged Cupola, experimenten, ISS, zweven. Bookmark the permalink. Vroeg me af hoe je bedje eruit ziet. Lig je ‘s nachts vastgesnoerd? 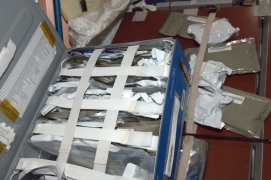 ‘k Wens jou en je medeastronauten ‘n behouden missie en alle goeds voor 2012. De beste wensen voor 2012 André, ik lees met plezier je blog. Dat je er nog vele mooie dingen in mag schrijven. We hebben nog een paar vuurpijlen je richting op geschoten, ik hoop dat je ze mooi vond ( en dat we ‘t station gemist hebben ) haha.